Blanket Heavy With Nightmares is a free game that you may just ignore. Don't. 3dSenVR (previously known as 3dNesVR) has been manually approved by Steam Review Team, latest demo has returned back to Steam and ready to be tried out. Feedback is welcome and appreciated. PS: Sorry for the audio quality, my PC is just not good enough for VR recording. Dropped frames after PC repair/upgrade... help! Can anyone explain the Blade and Sorcery rotation/spring settings? Pimax Easter Egg Morse Code translated - Coupon Code? [GUIDE] Extend Vive 100 feet! Getting over nausea. Is it possible? Gladly announce a long-awaited baby of Gorn and Fruit Ninja coming to Steam Early Access this May. Subscribe and stay tuned! Is it just me or does the wireless adapter's battery charge time seem abysmal? Super excited having just launched our refreshingly intense rhythm-based VR fitness experience PowerBeatsVR on Steam Early Access. How do I play with only one base station? Now how are we supposed to upload custom songs to Beat Saber? PowerBeatsVR Review - It's a workout! Drum Beats VR: Where to find custom songs? Lurker on this sub for awhile, broke gamer with no hardware. Where do I start for vr gaming. Tracking issues on Alienware R5 laptop possibly solved. Games for vive? I am looking form some where I can play while inebriated. Should I wait for Vive Pro Eye? any way to make beat saber blocks stay red/blue regardless of song? What computer upgrade would benefit me the most? Angry post about HTC VIVE PRO about HTC WIRELESS/ powerbank with SOLUTIONS! Full body VR suits that work in sync? There's a special easter event in cyubeVR: Bunnies have hidden easter eggs all over your world, so you can go looking for easter eggs in VR! Here's a short video explaining the feature and where you can find the easter eggs. How many games are good AAA sitdown low-space titles? small space still good experience? Cosmic Sugar Hidden Recording Feature? Why does Alien Isolation have the best graphics on Vive? Should I get the Vive Pro or the Original? So, you need a mobile phone to use the Oculus Quest! How well is ReVive working with this specific games? Help fixing Vive head strap mount? Will the Vive fall off when looking down without the deluxe audio strap? Looking for a way to play Portal 2 on my Vive. Anyone know how to do this? My vive camera won't activate. 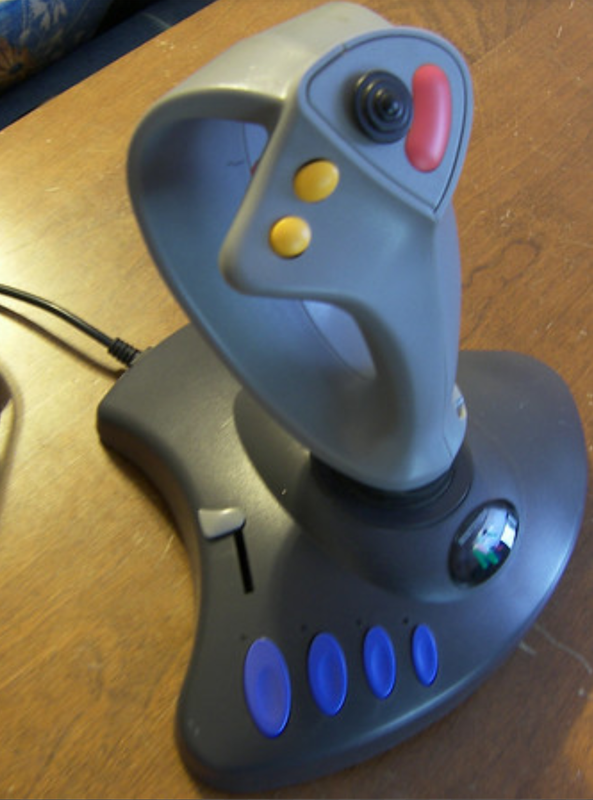 Anyone remember that time Nintendo invented Knuckles controllers in the mid 90s? What would you want in an “escape” VR horror game? Quick question about the rubber nose rest. What types of VR Egg Hunt games are out there? What are Lighthouse 1.0 and 2.0 play area sizes? What are the best VR games to play with a gamepad?